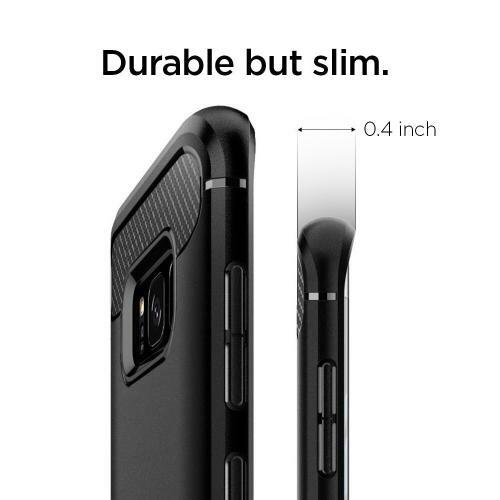 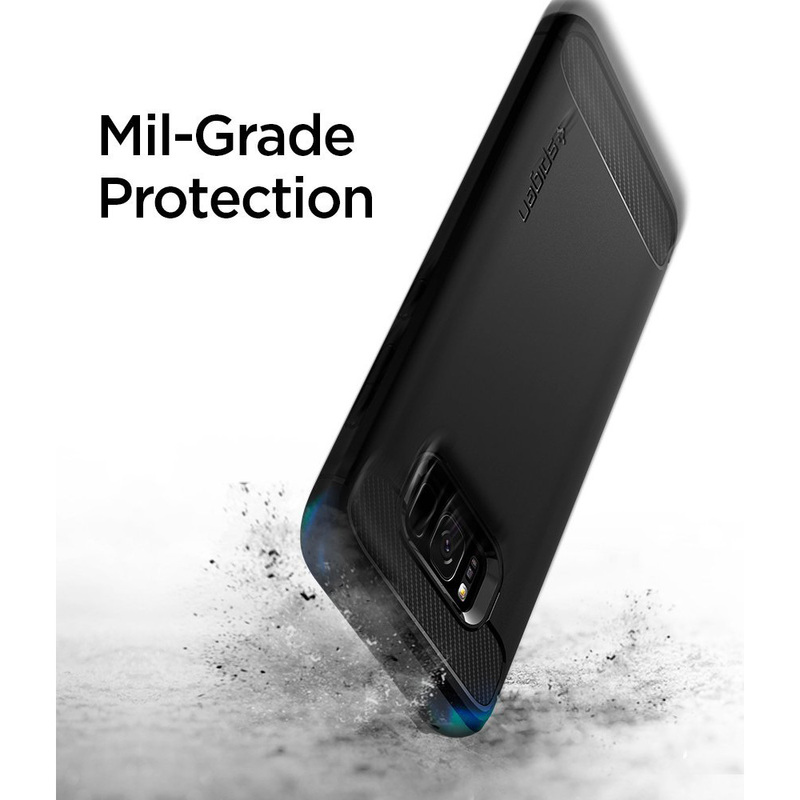 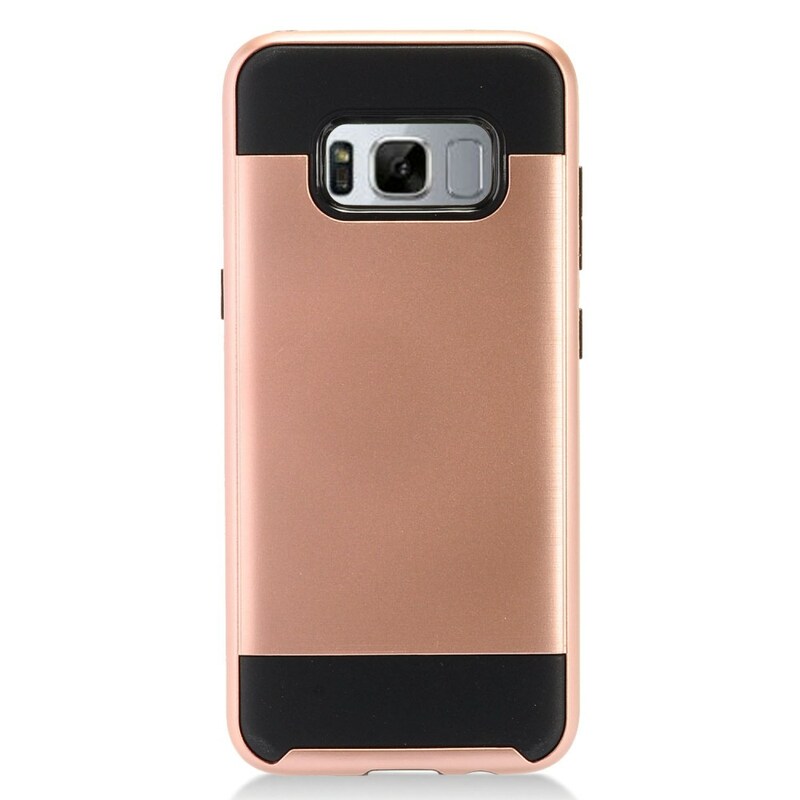 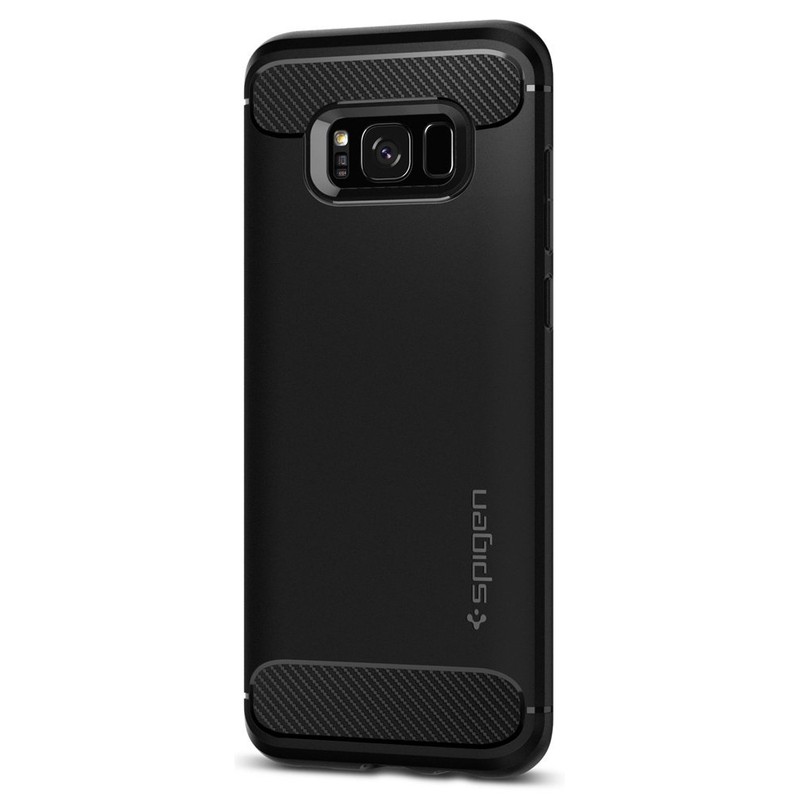 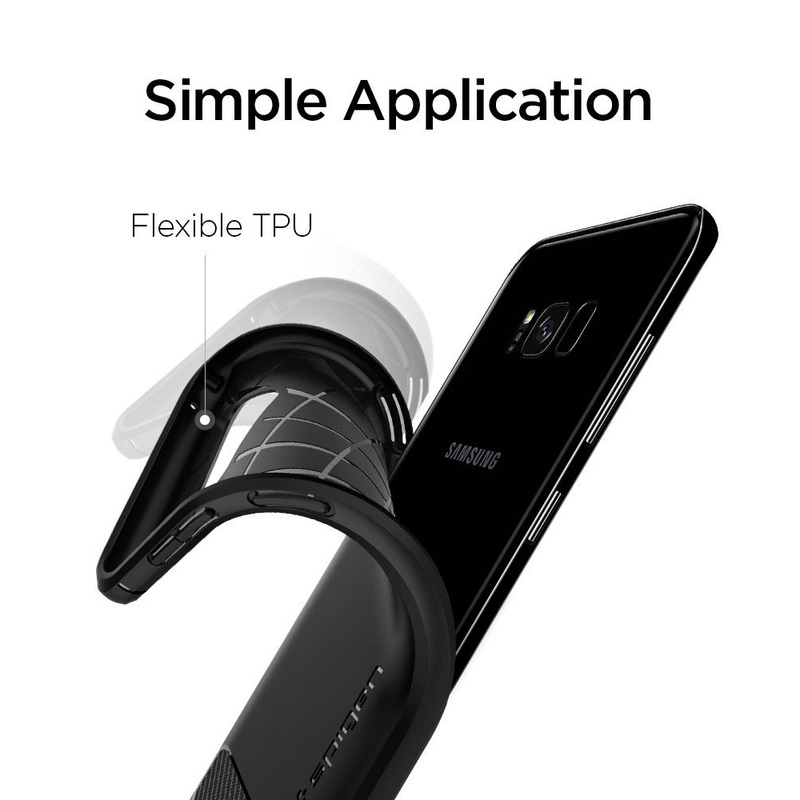 Samsung Galaxy S8 Case, [Spigen] Rugged Armor Case w/ Resilient Shock Absorption and Carbon Fiber Design [Black] @ AccessoryGeeks.com w/ Free Shipping! 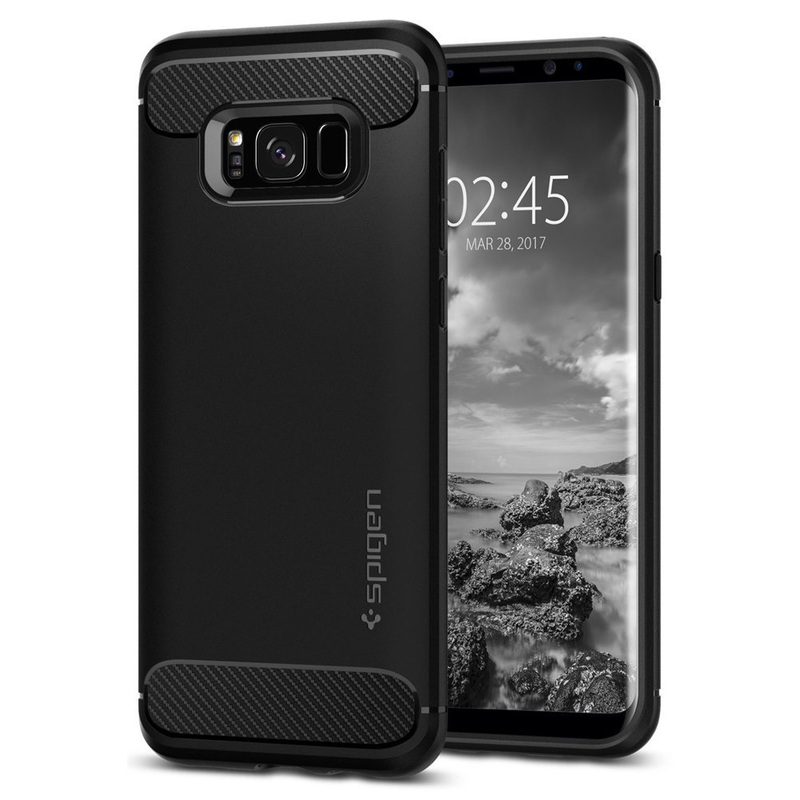 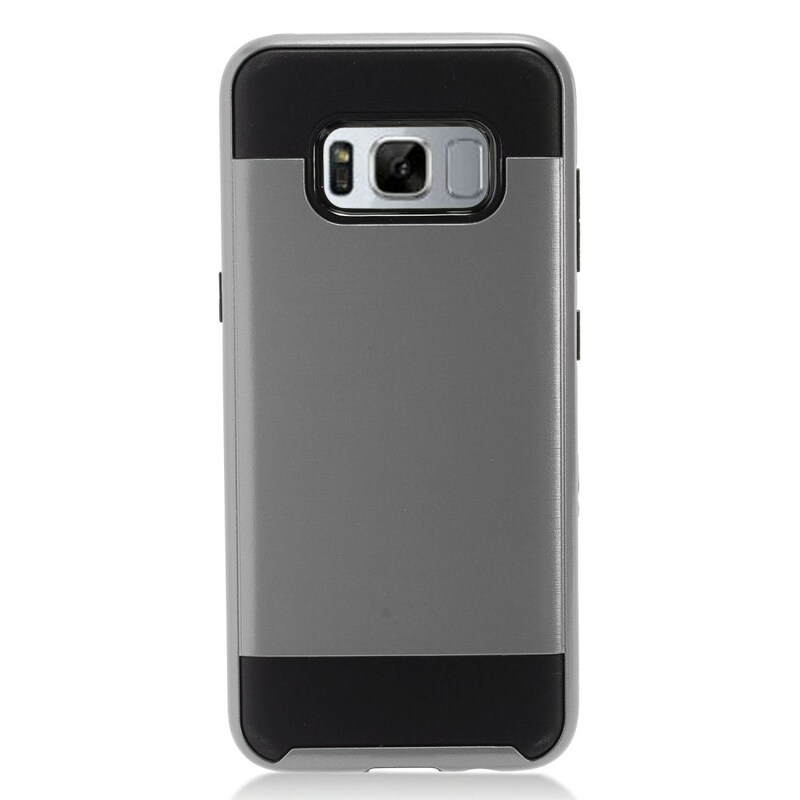 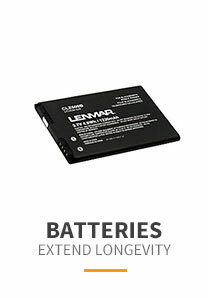 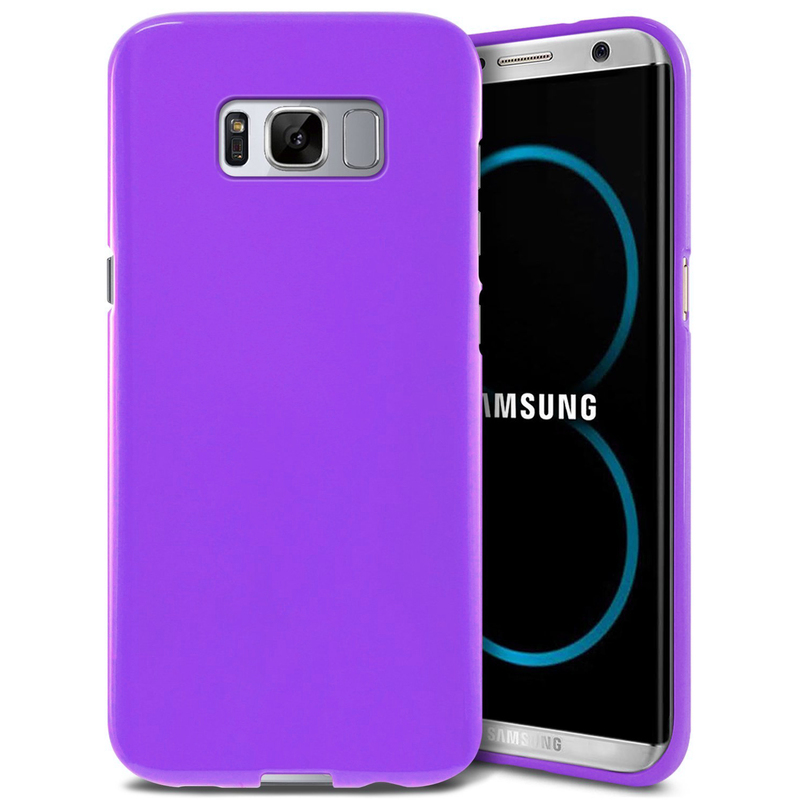 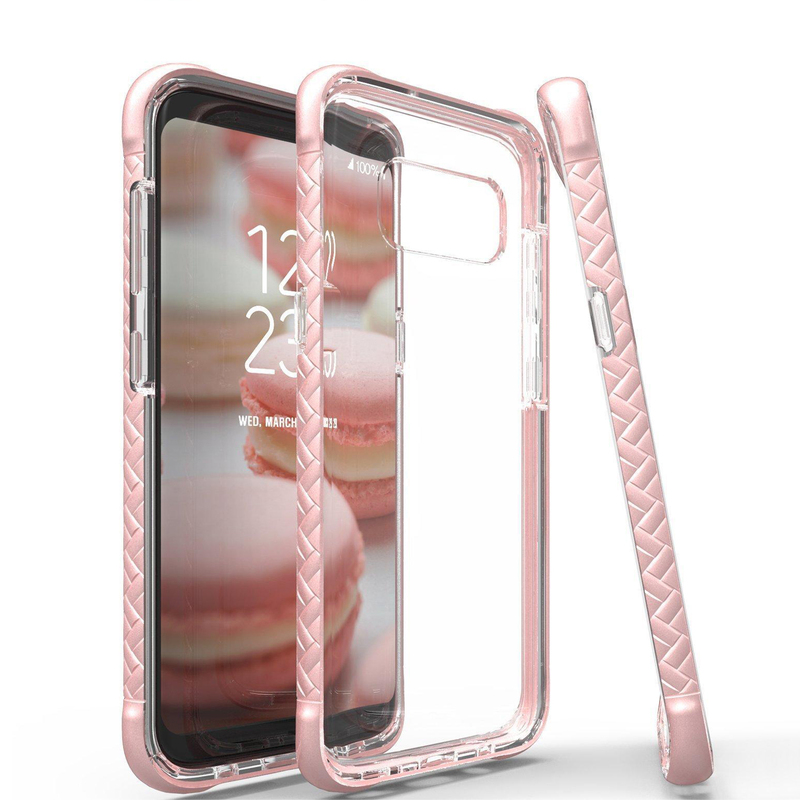 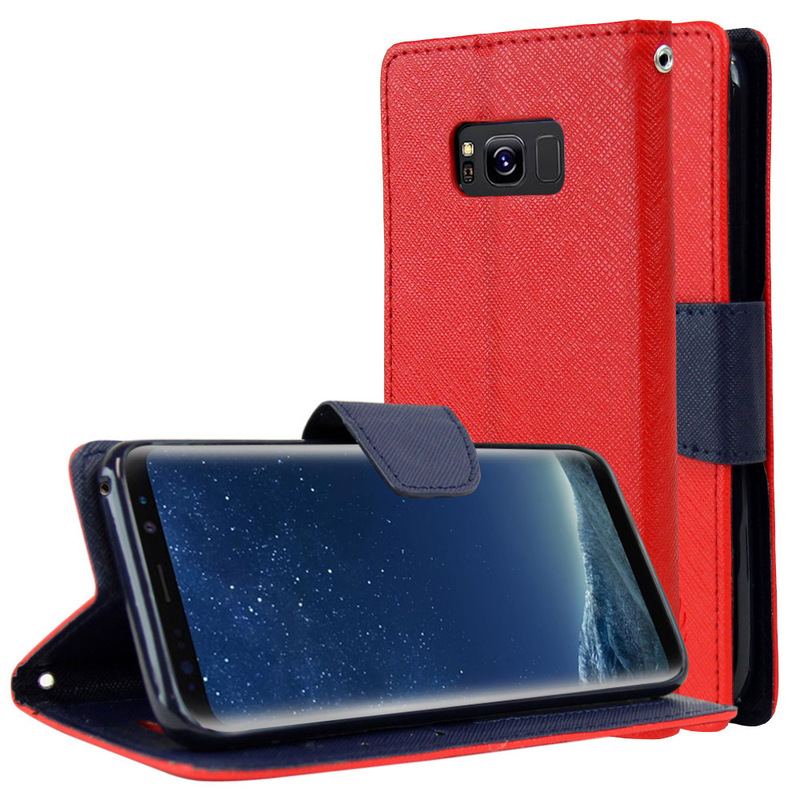 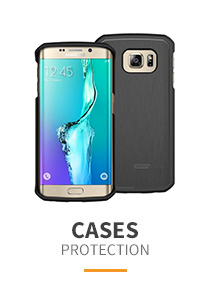 Seeking to protect your device with extreme style The Rugged Armor for the Samsung Galaxy S8 is a lightweight and flexible shell that is packed with heavy duty protection. 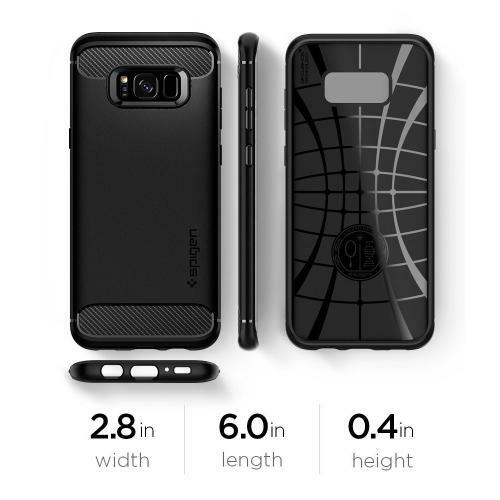 For optimum shock-absorption, the inside is lined with our usual spider web pattern along with Air Cushion Technology in every corner. Seeking to protect your device with extreme style The Rugged Armor for the Samsung Galaxy S8 is a lightweight and flexible shell that is packed with heavy duty protection. 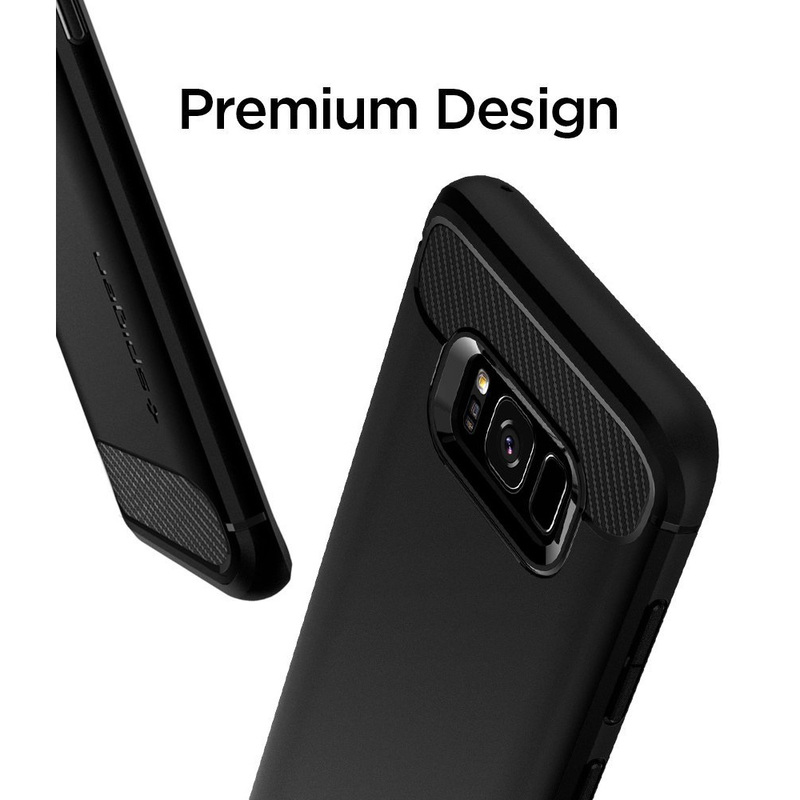 For optimum shock-absorption, the inside is lined with our usual spider web pattern along with Air Cushion Technology in every corner. 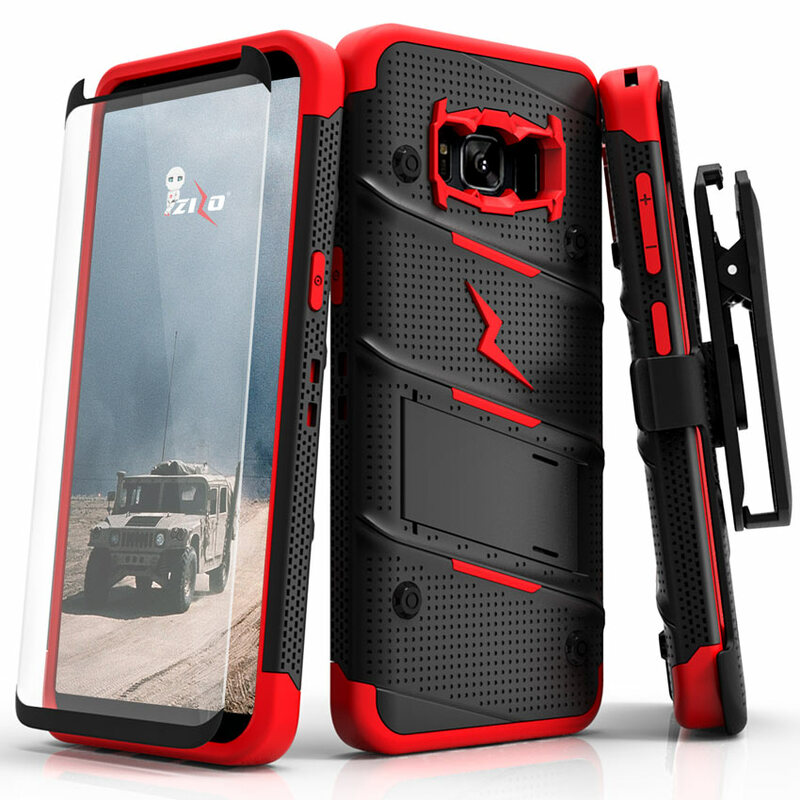 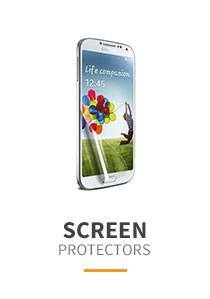 The Rugged Armor comes with its signature sleek, which contains its carbon fiber textures with a matte finish. 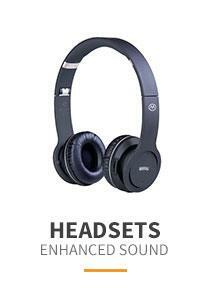 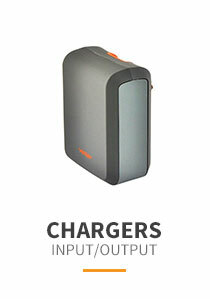 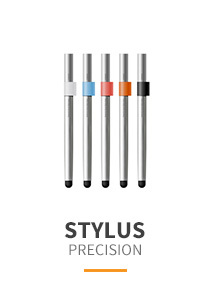 Precise cutouts ensure easy access to all features while tactile buttons ensure haptic feedback. 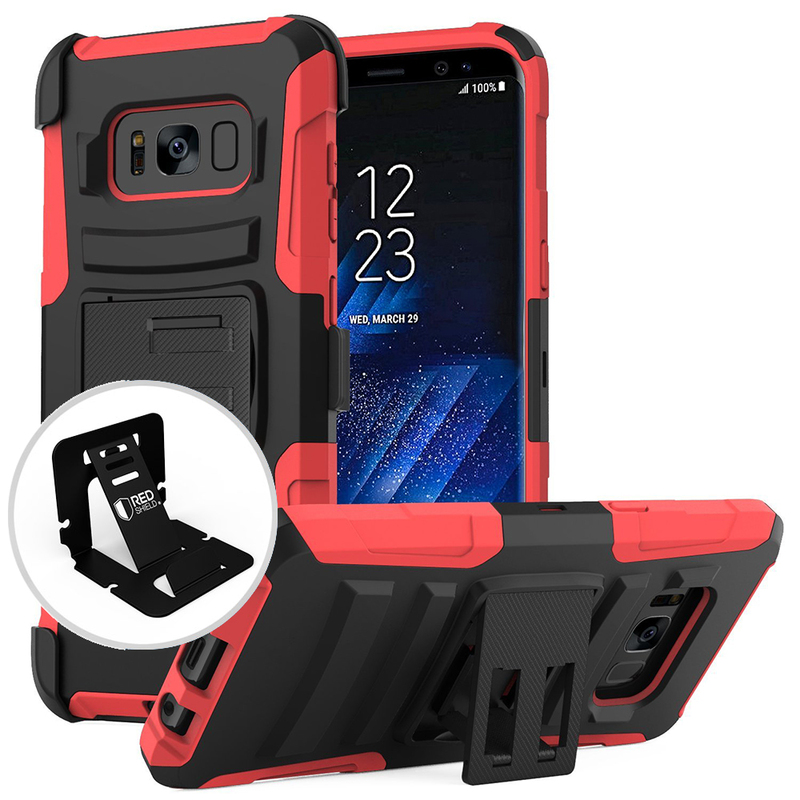 Encase your new Samsung Galaxy S8 with the Rugged Armor!